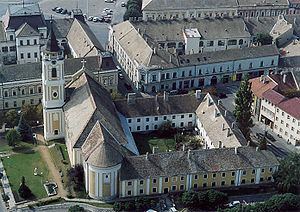 Baja ([ˈbɒjɒ]; German: Frankenstadt) is a city in Bács-Kiskun County, southern Hungary. 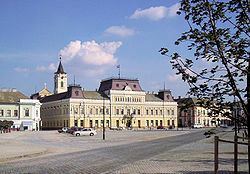 It is the second largest city in the county, after the county seat at Kecskemét, and is home to some 37,000 people. The environs of Baja have been continuously inhabited since the end of the Iron Age, but there is evidence of human presence since prehistoric times. The settlement itself was most likely established in the 14th century. After the Ottoman Empire conquered Hungary, it grew to prominence more than other nearby settlements, and was granted town rights in 1696. Today, Baja plays an important role in the life of Northern Bácska as a local commercial centre and the provider of public services such as education and healthcare. It has several roads and a railway connection to other parts of the country, and also offers local Public transport for its residents. Being close to the Danube and the forest of Gemenc, as well as having its own cultural sights, makes it a candidate for tourism, but this is not well established yet. Baja is the seat of the Baja municipality. The city's Hungarian name is derived from a Turkic language. The name means "bull". The Latin name of the town is Francillo. Baja used to have also a German name: Frankenstadt. The South Slavs, Bunjevci and Serbs, who live in the city call Baja by the same name as Magyars do, but with a slightly different pronunciation ([baja] instead of [bɒjɒ]). Its spelling in Serbian Cyrillic writing is Баја. The city is first mentioned in 1308. During the Turkish Conquest in the 16th and 17th centuries it was the official center for the region and it possessed a fortification. This era saw the immigration of Bunjevci and Serbs into the town. There was also an active Franciscan mission with monks from Bosnia. 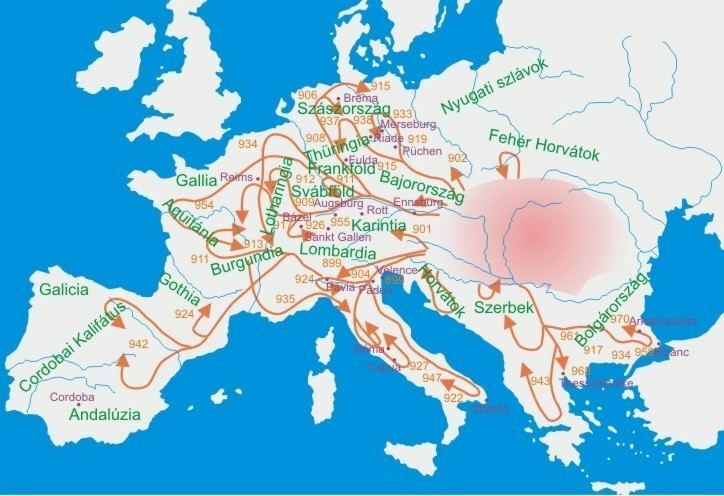 When Hungary was a part of the Habsburg Empire, the city was also settled by Germans and Hungarians alongside some Jews. Due to its location on the Danube, it became a transportation and commercial hub for the region. This was where grain and wine was loaded onto boats to be transported upriver to Austria and Germany. Until 1765, the inhabitants belonged to three nations; Bunjevac (under name of Dalmatians), the Germans and the Serbs. The Magyars – who escaped from the Ottoman Empire to the reduced Kingdom of Hungary – returned to the Great Plain after Hungary regained her lost territories. Following this, according to a government decree the Natio Dalmatica was changed into the Natio Hungarica, but even in 1768, the elected mayor swore the oath in the Bunjevac language in the Franciscan Church. In 1699, Baja was Bács-Bodrog county's most "industrialized" city. In the 19th century Baja became a minor railway hub, but its importance declined as the railway to Fiume (Rijeka) was built in order to get Hungarian grain seaborne. The city was still a commercial and service center for the region. 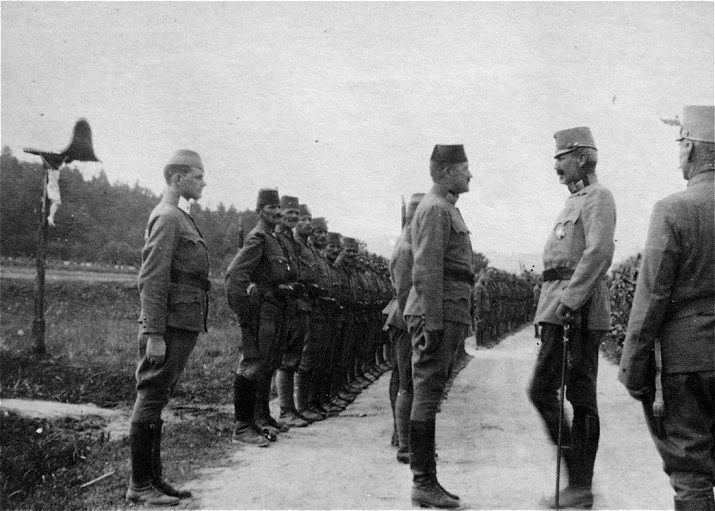 In 1918, after World War I, the ceasefire line placed the city under administration of the newly formed Kingdom of Yugoslavia. By the Treaty of Trianon from 1920, the city was assigned to Hungary, and became the capital of the reduced county of Bács-Bodrog. 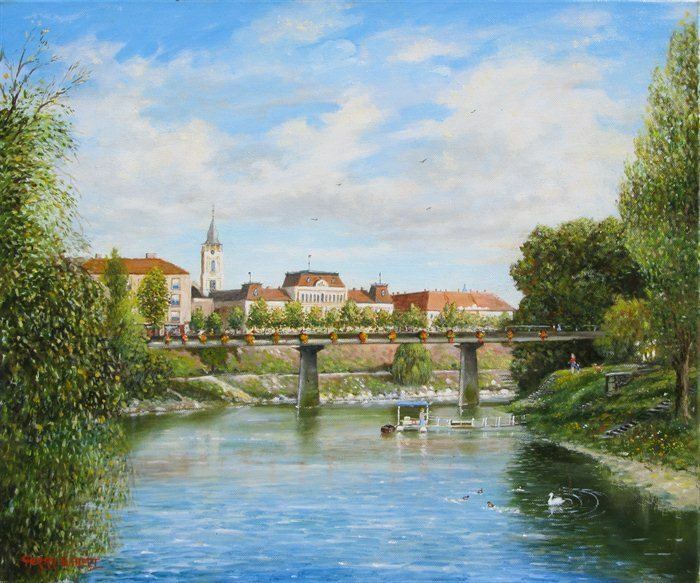 After World War II the city became known for its textile mill and because of its important bridge crossing the Danube. Its importance is still evident as people from the Bácska region (Serbian: Bačka) of Hungary come for higher education, government and business services. The city's population was growing rapidly in the 20th century (especially in interwar period and during the socialist era), but in the last decade, it slightly declined. 6.1% unknown or did not say. As of 1 January 2009, there are 15,969 houses. Baja is located about 150 km (93 mi) south of Budapest and 108 km (67 mi) southwest of Kecskemét, at the crossing of Road 55 and Road 51, on the river Danube. Baja's main river is Sugovica (also called Kamarás-Duna). Baja is at the meeting point of two large regions: the Great Hungarian Plain (Alföld) and Transdanubia (Dunántúl). The River Danube separates the two regions. West of the city, the Gemencforest spreads. Gemenc is part of the Danube-Drava National Park. It can be discovered from Baja via a narrow gauge railway. Baja is located on the left bank of the river, on the Great Hungarian Plain. However, Baja is more similar to the cities of Transdanubia. To the east, arable crops such as maize, wheat and barley are grown. Baja is at the meeting of the continental and mediterranean region of Hungary. The summers are hot (the temperature sometimes goes up to 35–36 °C) and dry, while the winters are cold and snowy. It often rains in the spring. The city plays an important role in Hungary's water transport, with the international harbour. Baja gives home to two extensive corporations: to AXIÁL Co. and DÉLHÚS Co. Axiál sells agricultural machines all over eastern Europe, while Délhús produces meat products. Gemenc Forest and Game Co. Ltd. is managing the nearby nature reserve, Gemenc. There are numerous commercial structures in the city, which prove important to the people living in and around Baja. A few years ago, a TESCO supermarket opened. The city has some museums and art galleries, most of them with permanent exhibitions. These include the István Türr Museum (exhibits objects of former local life), the István Nagy Gallery (a collection of István Nagy's paintings), and the Bunjevci House (about Bunjevci traditions). The annual Fisherman's Soup Boiling Festival is a famous event in Europe, which comprises a great fish soup boiling contest, and other cultural occurrences. There are 15 churches in the city, representing the religion of each ethnicity. These religions include (with the number of believers) Roman Catholic (25 203), Protestant (1 623), Evangelist (268), Unitarian, Orthodox (90), Lutheran and Judaism (27). Located relatively close to the Great Hungarian Plain, to Gemenc and Transdanubia, the city is also feasible as a base for regional tourists. There are three notable educational institutes in the city: Béla III High school, famous for high teaching skills; Eötvös József College, the only top-level educational institution of Northern Bácska, and the German center. A smaller observatory also exists. Tha MNÁMK (Magyarországi Németek Általános Művelődési Központja; English: General Culture Center of Germans Living in Hungary) is internationally respected for providing German education for the German minority living in Bácska, and in Hungary. Students get up-to-date education with modern tools using their mother language. Baja's library got its name from the famous Hungarian poet, Endre Ady. The library's building used to be Baja's synagogue. 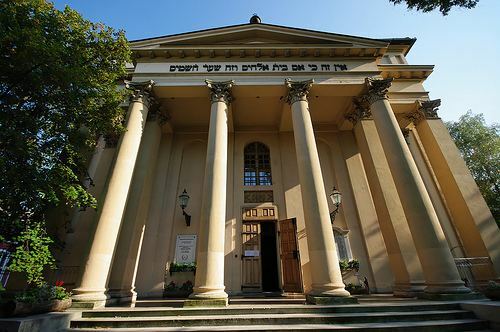 The building was offered by the city's Jewish community. The Holocaust memorial stands in the synagogue's garden. The library has a very large collection of pre-18th-century books. The "Ancient book" collection includes 4,352 volumes, and a lot more writings, because many of the volumes are collectives (for example, one of them contains 17 writings). The library has three incunabulums. Joakim Vujić, known as the "Father of Serbian Theatre", writer and playwright who lived and worked in the late eighteenth- and early nineteenth- century. Bogoboj Atanacković (1826–1858), a well-known Serbian novelist and a friend of poet Branko Radičević. Zsuzsanna Ikotity, a famous poet. Pavel Đurković, famous Serbian icon painter and muralist who lived and worked in the Habsburg Empire, from 1772 until 1830. Jovan Pačić (1771–1849), Serbian writer, poet, translator, illustrator and watercolor painter, the first to translate Goethe in Serbian.